The barrel is round for its entire length, swelling into a boulbous muzzle pierced with a hole that once held a foresight. Towards the breech is a join that divides the barrel into two sections. The shape of the attached pan, fitted with a sheet iron cover, and the muzzle suggests that this barrel has been made by cutting out a section from the middle of an Indian barrel. 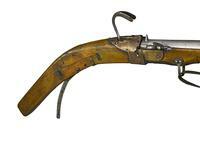 The stock is of pale coloured wood, the pistol grip being shaped by splicing on a separate piece. 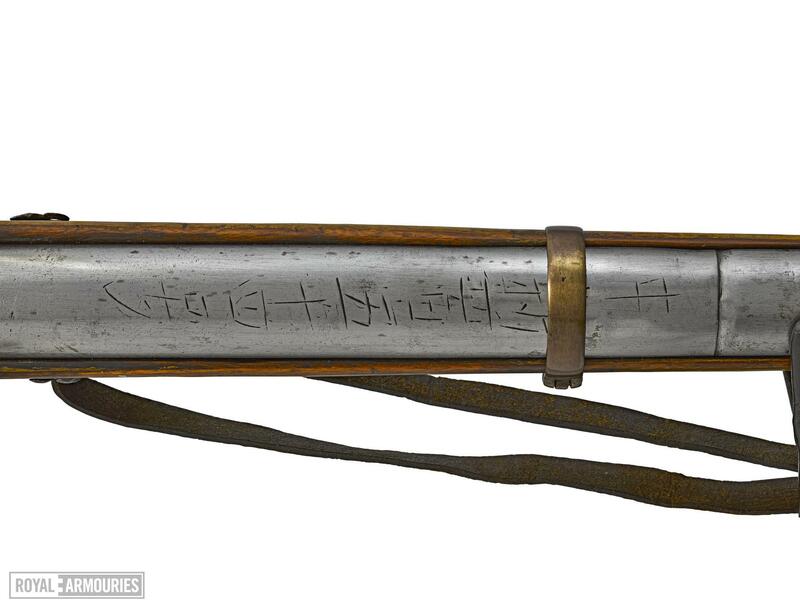 There are staples in this position that suggest that there was once a pouch attached to the side of the stock. 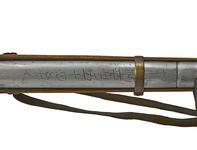 The stock is shaped for the fitting of a bipod in the manner of a Tibetan gun. Around the breech is a copper band that extends into an apron. The gun has the usual simple trigger and serpentine. 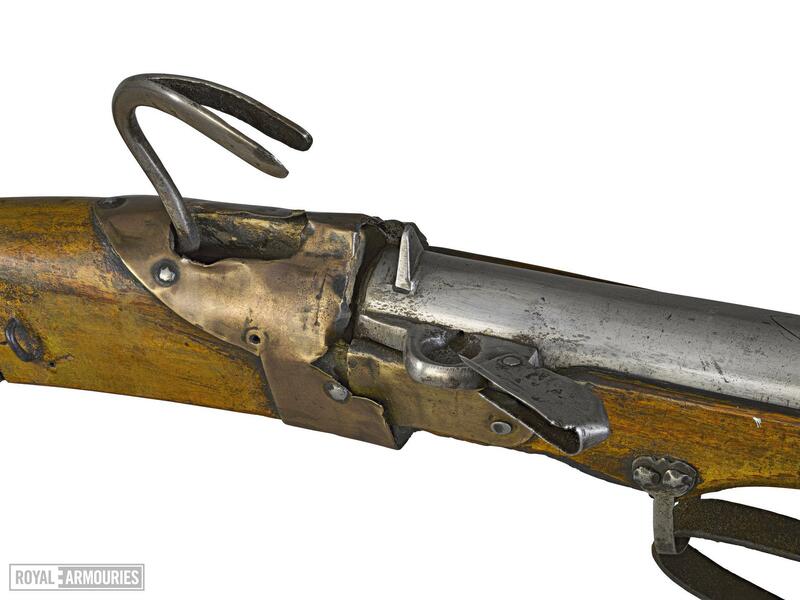 The strap is thin and of leather, held onto the musket by two strap loops, one just infront of the pan and one 270mm behind the muzzle. The ram-rod consists of a straight iron rod that is curled over into a loop at the protruding end. J. Hewitt, Official catalogue of the Tower Armouries, London, 1859, no. xv.489, p.113. Viscount Dillon, Illustrated guide to the Armouries, London, 1910, no. xv.623, p.4.